Based in New York City, Huemor Designs is a highly regarded digital marketing agency. The company provides both marketing and strategy services. In terms of marketing, Huemor provides content, email, search engine optimization, social, and pay per click services. The planning services include analytics and research, as well as brand, content, and digital strategy. Past clients include NBC Sports, LiveNation, and American Crew. The company prides itself on using data and research to provide results. Huemor doesn't just follow the trends, but works to stay ahead of them and break new ground. 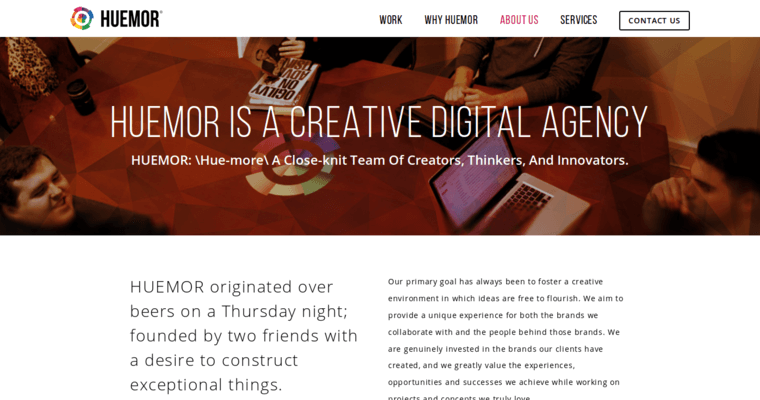 Huemor's campaigns have been celebrated with several awards including Webbys.